BlueSky Cinemas one of the leading overseas distributor since 2009 is happy to announce that we are bringing another full-length romantic comedy entertainer ABCD - America Born Confused Desi into overseas market. Blockbuster F2 proved one more time that overseas audience always like to watch entertainment-based movies. Allu Sirish and Rukshar Dhillon are playing lead roles in ABCD. ABCD being directed by debutant director Sanjeev Reddy and music being composed by debutant music director Judah Sandhy. Recently released Mella Mellaga song sung by Sid Sriram already crossed 2.2 M+ views on single channel and still trending. BlueSky Cinemas is excited to join hands with Madhura Entertainment and Suresh Productions one more time. Our heartfelt thanks to Madhura Sridhar garu, Yash Rangineni garu and Suresh Babu garu for their support to BlueSky. 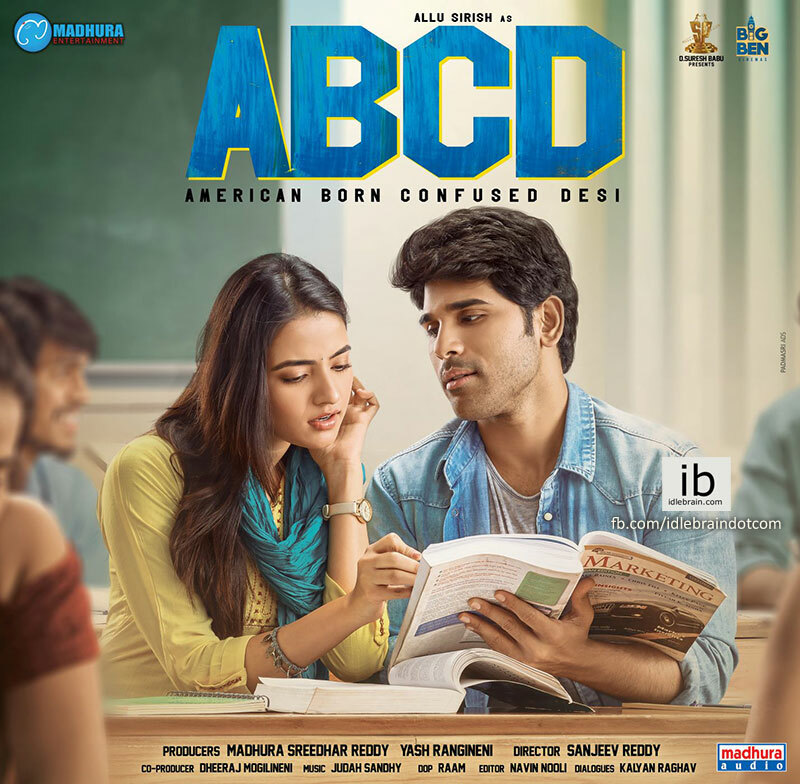 ABCD is scheduled to release on March 21st with USA Premiers on March 20th in locations near to you. Please feel free to contact for exhibition in your local areas.